The Colorado Avalanche Hockey Club announced today that the team has claimed forward Chris Wagner on waivers from the Anaheim Ducks. 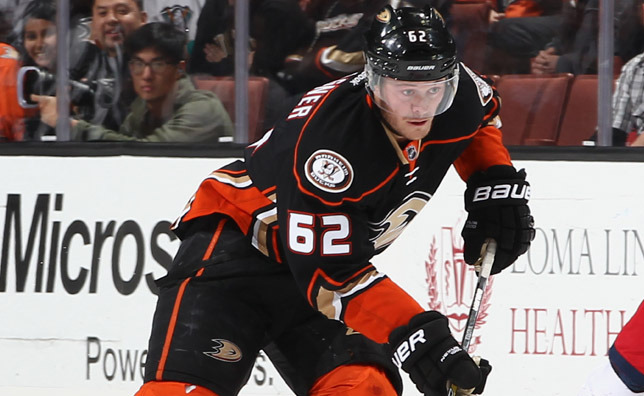 Wagner, 24, has appeared in 11 games for the Ducks this season (0g/0a) while also skating in three contests with Anaheim's American Hockey League affiliate in San Diego (1g/1a). Wagner is tied for second on the Ducks in hits (32) and ranks fourth in penalty minutes (17). Selected by Anaheim in the fifth round (122nd overall) of the 2010 Entry Draft, Wagner also dressed in nine game for the Ducks last season (0g/0a). After two years at Colgate University (2010-12), the Walpole, Massachusetts, native made his pro debut with the Norfolk Admirals (AHL) in 2012-13. To make room for Wagner, the Avs placed goaltender Semyon Varlamov on Injured Reserve (retroactive to Nov. 10).